become a child again at Christmas time. It’s the embodiment of memories and the observation of traditions. It’s the sweet celebration of customs and sharing with like-minded souls. It’s uncomplicated and full of frivolity. It’s a time of reflection. It’s about taking stock and being grateful. It’s a time of joy and forgiveness. To Anne, Christmas is all these things and more … her love of the season being firmly rooted in past days. The eldest of five children, Anne relishes the memories of childhood Christmases where family and friends would always come together to celebrate the bonds of love and connection … bonds which have never diminished through the years but rather have taken on different forms and even been strengthened as partners have been added to the clan, and as one very significant member of the family – Anne’s beloved Mum – has passed away. Today, so many aspects of the way in which Anne’s family celebrates Christmas are done in her memory and honour, and she is ever-present by way of the many treasured handcrafted items and seasonal decorations which she made as her children so lovingly display them throughout their homes. 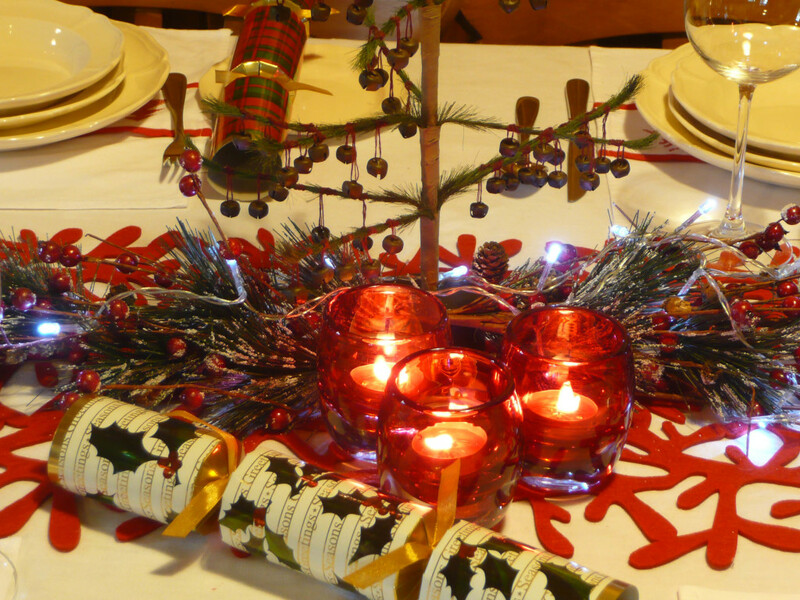 In many ways, this serves to make the Christmas season all the more sentimental and special, and gatherings of the clan all the more anticipated and treasured. And on top of all this, over the years Anne has established a whole range of Christmas rituals of her own, many conducted in association with her dearest friends with whom she has shared many of life’s most significant experiences, including graduating from nursing and continuing education, as well as achieving various professional appointments. As Anne tells, her ‘full blown’ Christmas obsession really began when she shared rental accommodation with one of her nursing associates – and now life-long friend – Joanna. 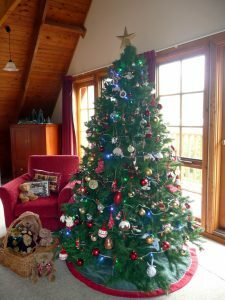 “We moved into an inner-city terrace and, when the first Christmas came around, we decided we would buy a tree, decorate it with handmade ornaments, and go all out with a garland twisted up the staircase. Mum, my sister and I had once had a regular stall selling handmade crafts at the Maitland Markets so I was no stranger to making my own decorations. Fuelled with a glass or two of champagne, Joanna was given a crash course in Christmas crafting and we were off and running, making a collection of handmade decorations for that very first tree. 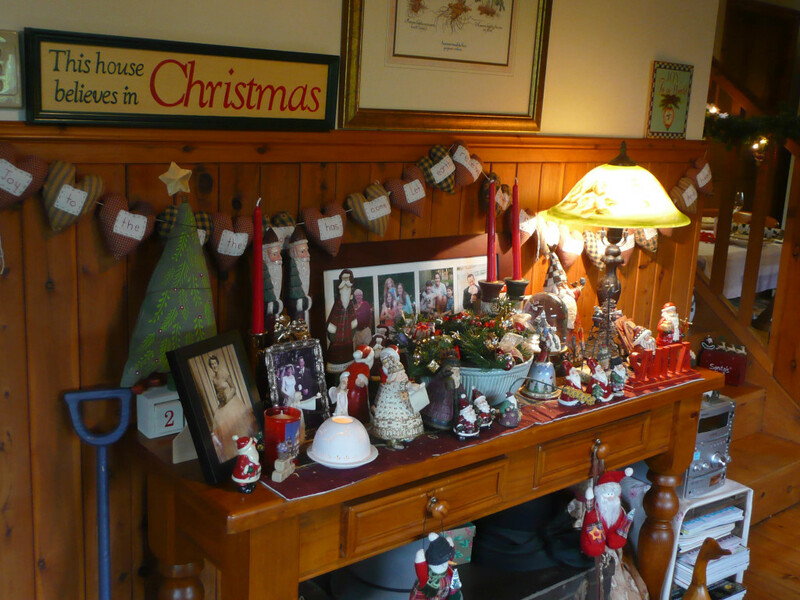 I still have that first garland which, although starting to look a little crushed and sad in parts, takes pride of place as it winds up the staircase in my home in the Blue Mountains” Anne tells. But this is all getting ahead of ourselves. Back to those early days living in the city! Not long after the first tree was bought, Anne saw a road sign advertising a Christmas shop in Sydney. So she and Joanna set off on a pilgrimage and the rest, as it’s said, is history. Their fate was sealed. They had found their calling … to covet Christmas collectables and festive finery in all its forms! Soon after, the girls moved into a rambling inner-city Californian bungalow, and with more space came more opportunities for Christmas decorating, and thus … more shopping. 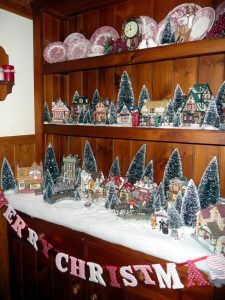 As Anne tells, at one time they were so obsessed that every pay throughout the festive season was spent in the store buying Christmas decorations and festive treasures, principal amongst these being Anne’s newfound love – Lemax collectable village cottages. With their tiny twinkling lights and wonderfully-detailed features, her collection now takes pride of place on Anne’s dining room dresser at Christmas time. An even greater opportunity for Anne to continue collecting, and to indulge in her passion for Christmas, came when she made the decision to move to the Blue Mountains and purchase her own home. Like any sensible, devoted Christmasholic, top of her list of home requirements was a showcase space for her Christmas tree. If it didn’t have the right spot and a subsequent warm country charm, she wasn’t buying! All her desires were met the day she found her delightful country cabin which, built in the 1990s, had been fashioned in the style and tradition of the log homes of North America. With its rustic white cedar beams outside and in, the two-storey property has the most wonderfully cosy cabin-style feel that permeates the entire downstairs open-plan living area and adjoining dining space, kitchen and office. Up the timber staircase there’s a second living area and two spacious bedrooms, made all the more cosier by way of a cedar-lined sloping ceiling above. The fact that this is a wonderful country retreat is revealed well before one crosses the threshold, as the sprawling cottage garden at the front of the property creates the ideal buffer between the street and Anne’s very special, private world. At the same time, the nature of the garden declares her love of such traditional plants as lavender, roses and spring-flowering cherry trees. Centrally positioned on just short of an acre, the house boasts a sprawling yard at the rear – which Anne has utilised for the growing of vegetables and raising chooks – and beyond it, a trickling creek. Up the front stairs and inside the front door, one is greeted by the key gathering space of the cabin which is so warm and welcoming one is immediately transported into a world of rustic charm and simple ease. It’s as much a tribute to Anne’s decorating skills as it is the lady herself. And especially at Christmas time, it’s a world of enveloping cheer and comfort. Furnished with two two-seater sofas upholstered in a deep Brunswick green and softened with a combination of Laura Ashley cushions and others handcrafted by Anne’s late mother who was a talented seamstress and skilled crafter – the room is as ‘country traditional’ as one can get, especially come Christmas time. 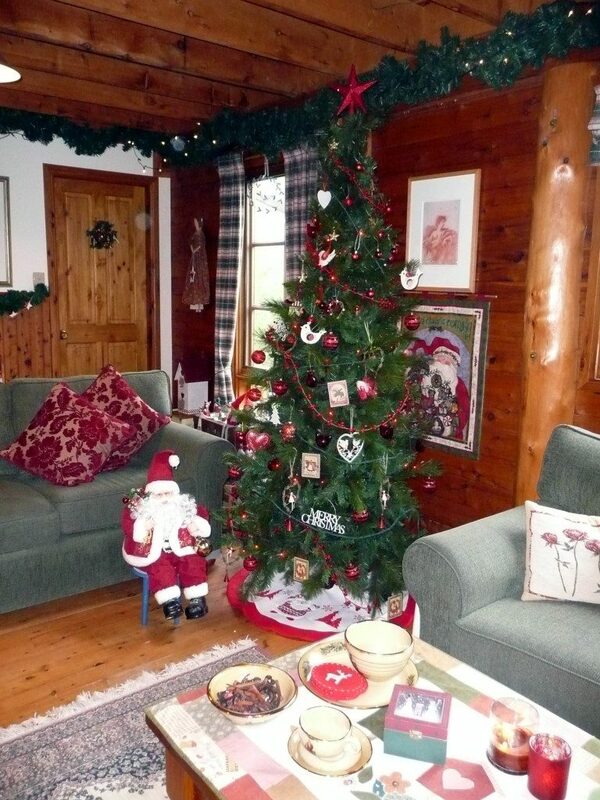 The warmth of cypress pine timbers, plaid blinds and curtaining, and the rich green upholstery is the perfect foil for the display of a handsome tree adorned in a combination of red and white decorations. 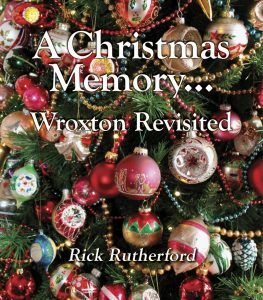 The coffee table is decorated with Robert Gordon Christmas ceramics; greenery garlands threaded with twinkling fairy lights at the very top of the walls encircle the room. 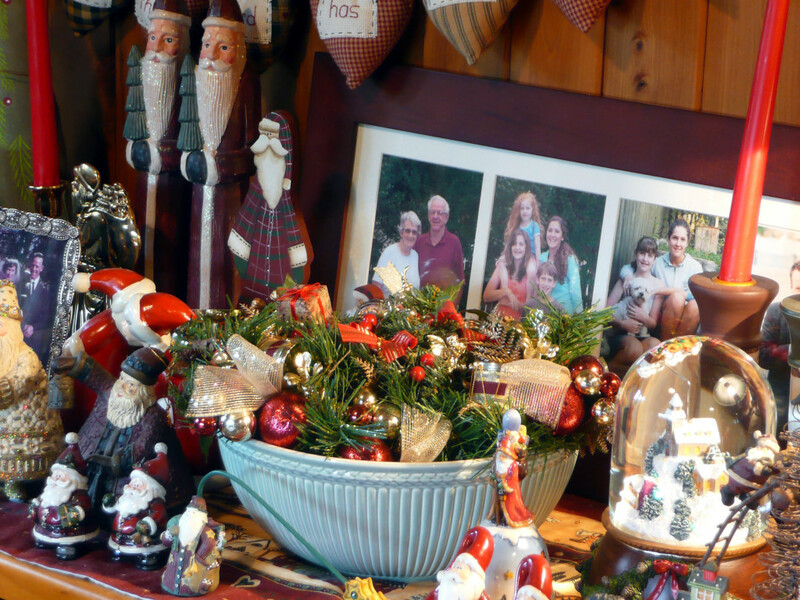 Just inside the front door, a timber hall table is adorned with a selection of special Santa-themed collectables which have been acquired over the past 20 years. They sit amongst important framed family photos and a lithophane which Anne lights every night in memory of her beloved mother. She is always present here and in every part of the wonderful country cabin … represented by the cherished craftworks and textiles she helped Anne create (from lined baskets, quilts and cushions to beautiful napery and certainly a wide range of Christmas treasures); in the precious heirlooms and collectables she handed down; and in the treasured memories embodied by all these things. 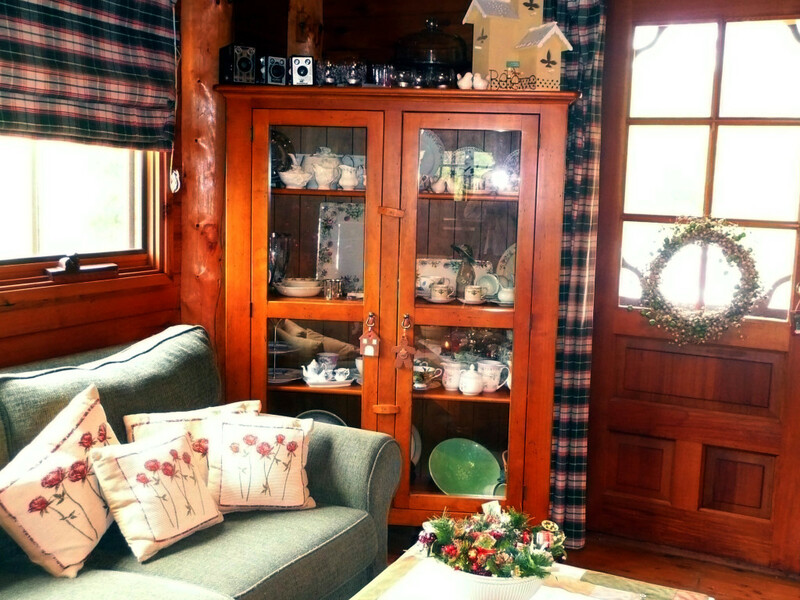 On the other side of the door, in the corner of the living area, a large glass-fronted Baltic pine cabinet is filled to capacity with more sentimental treasures. They include Bunnykins collectables from childhood; her silver baby mug engraved to commemorate her birth; lots of vintage teacups and saucers – many given to her by her darling Mum – and an ever-growing array of wonderful old box brownie cameras. In keeping with the lights which twinkle amidst the greenery around the tops of the walls, the dining nook has its own canopy of fairy lights overhead, these being left in place throughout the year as testament to Anne’s self-proclaimed status as a ‘Christmas tragic’! They complement the tiny lights of the gorgeous Lemax cottages which adorn the shelves of the timber dresser against the wall. For a special dinner gathering the table is set with Anne’s best Wedgwood Queensware china. More lights twinkle on the vintage greenery garland (bought on her very first Christmas decoration buying excursion all those years ago) which lines the stairs leading to the bedroom accommodation above. 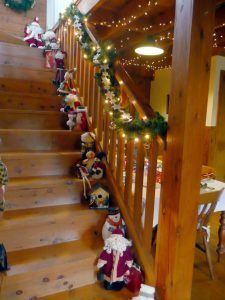 On each step sits a favourite Christmas character – Santas, snowmen, reindeers and such. 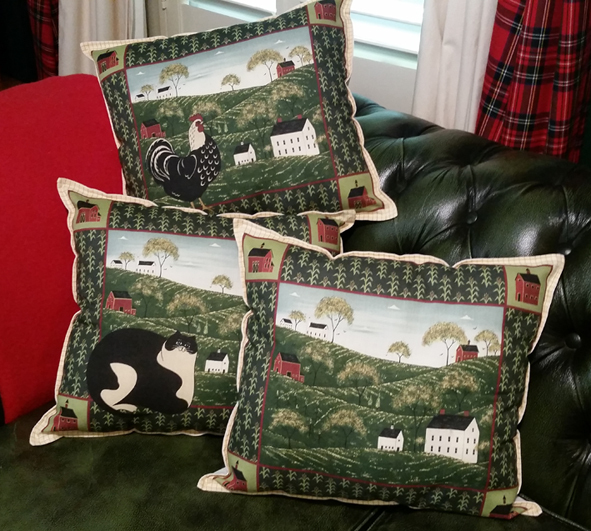 Many have been handcrafted by Anne and her Mum, as well as having been discovered within the Christmas collections of Rick Rutherford’s Country – once Anne’s favourite country store! As one reaches the top of the stairs, a second splendid tree proclaims that both levels of the home are fair game for Anne’s passion for Christmas decorating. 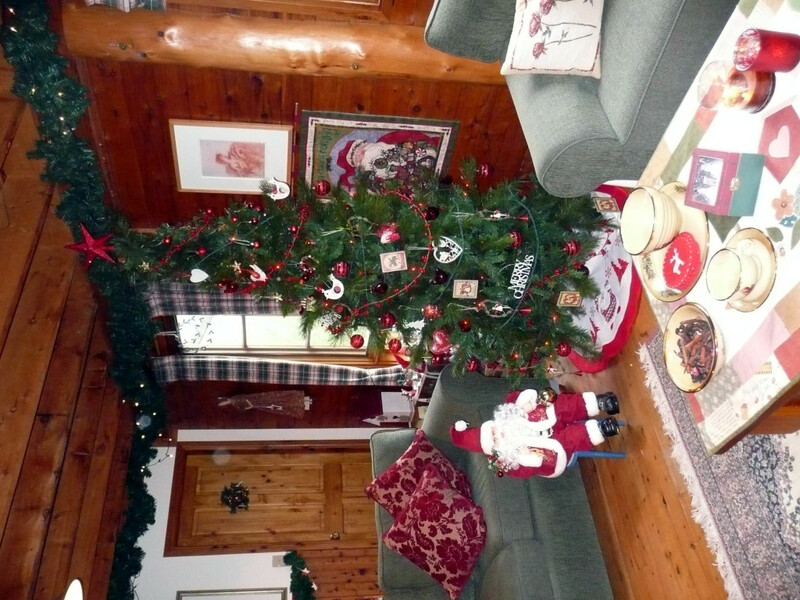 The tree – which was originally bought for her parents home but was simply too big – Is adorned with a wide array of ornaments and decorations. As is typical of Anne, most have special sentimental value, have been handcrafted; or represent things that she loves. 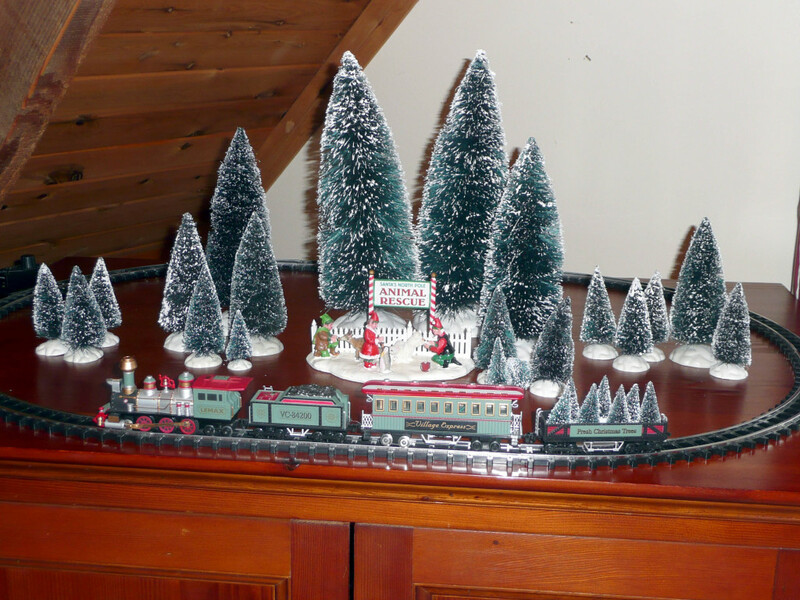 In one corner of the room another tribute to her passion for Lemax is presented by way of a tabletop train set, and a ‘Santa’s North Pole Animal Rescue’ piece which once belonged to Anne’s late Mum. 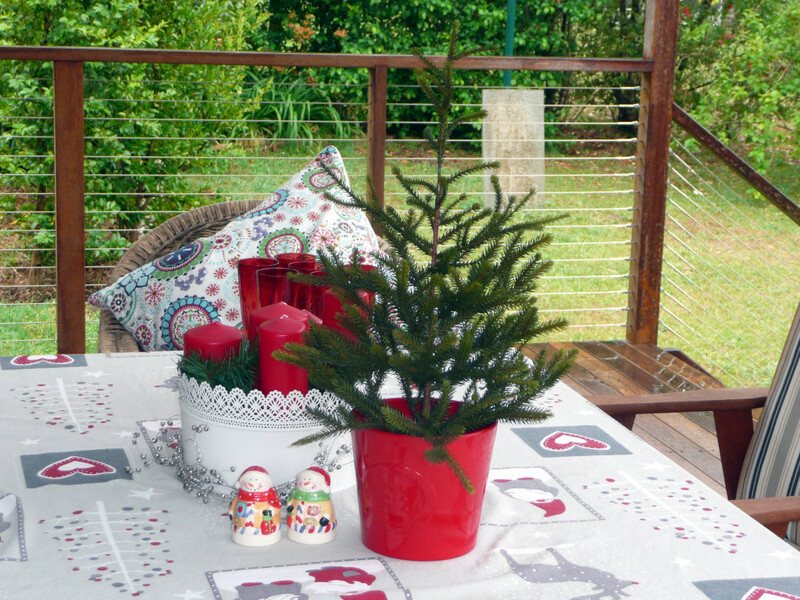 Even the outside of the home gets the Christmas treatment – from the front verandah to the back. 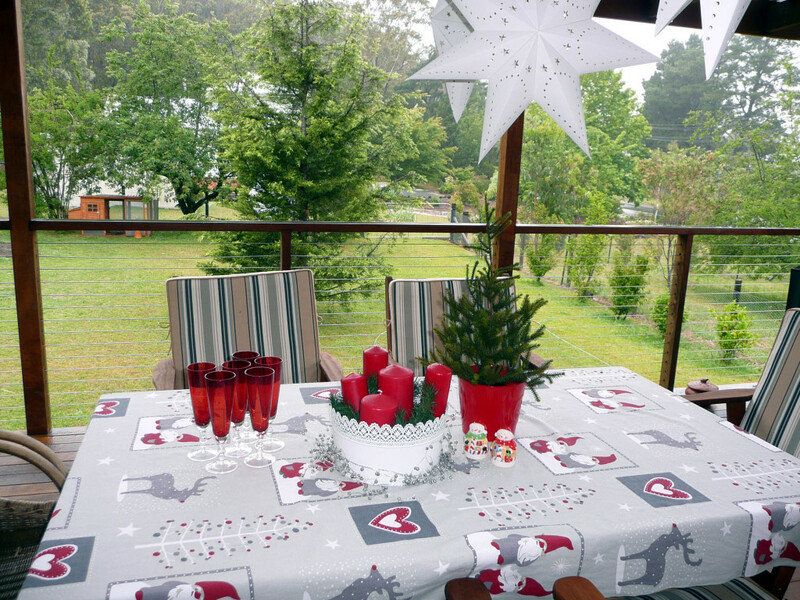 The perfect place for al fresco Christmas entertaining, the back deck in particular is a favourite spot to dress up with Christmas finery – from Anne’s handcrafted tablecloth and tub of red candles to large battery-lit stars hanging overhead. 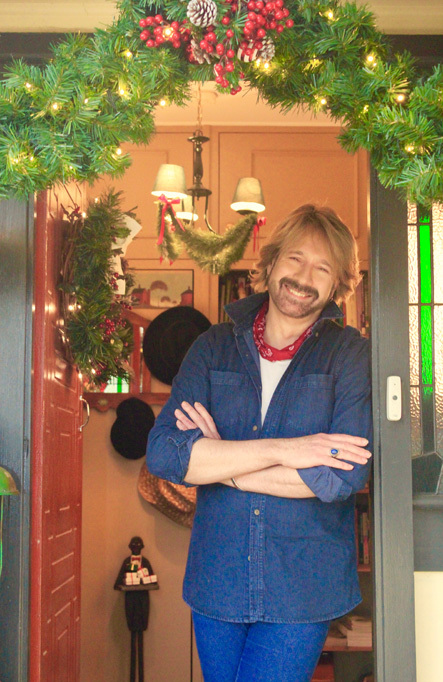 “Many of the aspects of my Christmas decorating have evolved over the years to become important personal rituals that honour the loved ones of my life, both past and present. And each year they seem to get stronger as family and friends are drawn here to observe and celebrate the season and the bonds we share” Anne tells. One significant annual tradition that Anne is determined to observe ‘into her dotage’ is the sacrosanct Christmas shopping day on the first Friday in November. As she explains “every year a group of my closest, kindred Christmas-loving friends take the first Friday in November off work. We head to a host of our favourite Christmas haunts with the mission to find new Christmas decorations and festive finery. It’s strictly a ‘decorations only’ day and always filled with fun and camaraderie as it marks the beginning of the Christmas season for each of us”. 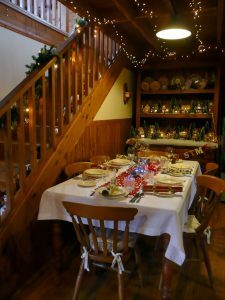 Another ritualistic observation that evolved between this ‘Christmas clan’ is Yulefest – Christmas in July celebrations – where Anne goes all out to host the group at her fully-decorated home, serving a lavish meal and making merry well into the wee hours. And isn’t that really what Christmas is all about?